Otterbox cases are some of the more famous of all smartphone accessories. For those that are hard on their phones, drop them constantly or have kids, these are essentially “must haves.” Little was known about there being one for the Galaxy Nexus though, well until now. One of our readers cruised into a Verizon shop this afternoon and found himself a Defender Series Otterbox case for none other than the G-Nex. 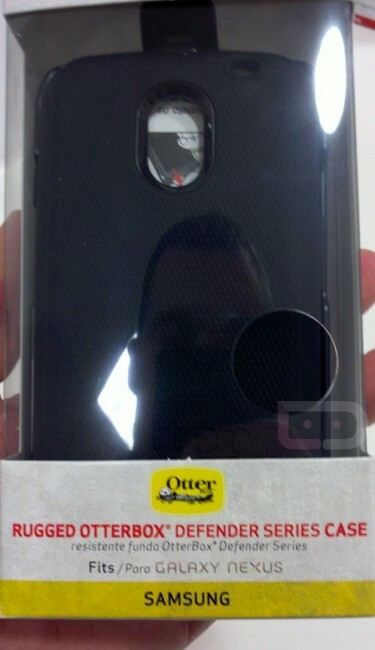 Funny thing here, is that Otterbox doesn’t even have pictures of it on their own site, but VZW has them available to purchase.